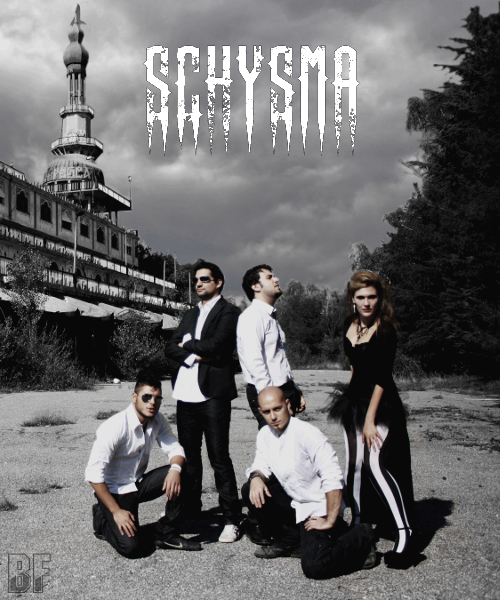 In the middle of 2011, SCHYSMA was born from an idea of Martina (Sehnsucht) and Giorgio (former SineVolume), respectively keyboardist and bassist from Purpleknights, and the line up was completed in 2012. 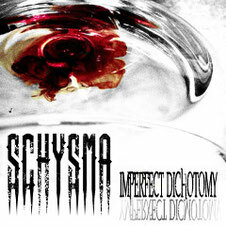 In September 2012 the band released their first EP called "Imperfect Dichotomy". Their musical influences span 80s hard rock to progressive metal band such as Dream Theater, Rammstein, Whitesnake, Saxon, Stratovarious and Rush. Their minds at work influence all the songs creating a progressive metal with a strong impact from the first listening. The industrial sound brought by the keyboard is perfectly melted to the powerful rhythm section in classic metal style. The guitar interludes inserts progressive elements, defining the style of the band. Finally, the powerful voice of Riccardo completes their style, with insertsing in some songs the growl technique, clean and expressive vocal parts alternately. All recording and mixing by Stefano Parodi at XStudio (Caronno Pertusella, Varese, Italy). The tracks of the EP can be purchased on their website, facebook and ReverbNation.